Top Plastic Surgeon San Diego: Coastal Plastic Surgeons is highly regarded as one of the premier plastic surgery practices in Southern California and nationally. Dr. Batra is a board certified plastic surgeon and has over 20 years of surgical experience. His dedication to his profession and his excellent outcomes have received accolades in the medical community. 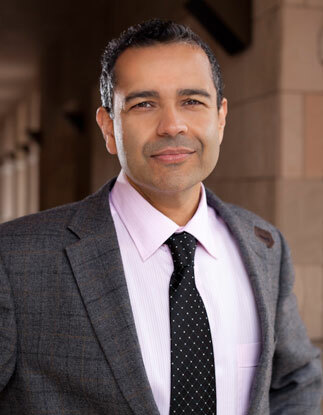 Coastal Plastic Surgeons has been recognized as Top Plastic Surgeons in San Diego by the San Diego County Medical Society and Dr. Batra has been recognized nationally among “Top Plastic Surgeons” by the Consumer’s Research Council of America. Dr. Batra has been featured on Oprah, People magazine, The LA times, along appearances on ABC, NBC and the Fox channel. Coastal Plastic Surgeons is one of the busiest plastic surgery practices in Southern California performing over 1000 cases annually. Dr. Batra is a leader in breast augmentation having been awarded the Black Diamond Status by Allergan which is given to less than 1% of all practices doing breast augmentations. Patients have travelled from all over the United States and internationally seeking Dr. Batra for his body contouring and trademark GBRX (Gastric bypass reconstruction) procedures. His amazing work in facial rejuvenation and facial aesthetic surgery has been featured nationally. Dr. Batra also lectures nationally and internationally on cosmetic surgery topics. Finally, Dr. Batra regularly receives referrals from over 300 physicians in Southern California and thousands of satisfied patients who will attest to his work. Dr. Batra is a Member of the Board of Directors of the American Society of Indian Plastic Surgeons (ASIPS). As such, he travels to India on annual humanitarian missions. He is an integral member of a team of plastic surgeons who operate on over 100 underprivileged patients per mission. Story about Dr. Batra’s charitable missions with ASIPS by Kaushal Patel from 10News (ABC) in San Diego. Video of Dr. Batra discussing his ASIPS charitable missions with Taylor Baldwin from U-T TV. ASIPS was founded in 2009 as a multifaceted organization to bring together plastic surgeons of Indian heritage practicing in the United States. This has taken the form of educational, social and philanthropic endeavors, both in the US and in India. The organization was met with the challenge to provide plastic surgery care to the under-served population in rural India. ASIPS has formed alliances with some of the largest physician organizations both in India and internationally to help achieve this goal. Dr. Batra co-founded Doctors Offering Charitable Services (DOCS) with Dr. Michael Halls in 2002. Their mission: To donate surgical reconstruction and continuing care to people otherwise unable to obtain treatment for disfiguring medical conditions and severe injuries. In 2010, both doctors traveled to Chicago to be featured on The Oprah Winfrey Show, along with their patient, Ana Rodarte. They described the bravery and endurance she has shown in overcoming her life obstacles and how they surgically removed a disfiguring Neurofibromatosis tumor from her face.